Tiana Wilson is a second year PhD student in the History department at the University of Texas at Austin. She is pursuing a Women and Gender Studies portfolio. Tiana researches the Black Freedom Struggle from an internationalist approach by exploring the lives of African American women expatriates of the Black Power era. 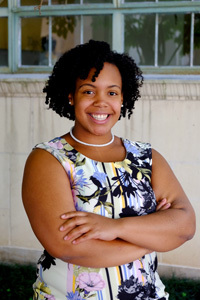 At UT, Tiana serves as a research fellow for the Center of Race and Democracy and is a graduate editor of the Undergraduate Journal of Black Business History. In addition, Tiana regularly engages in public history by contributing to notevenpast.org and ClioVis.org.